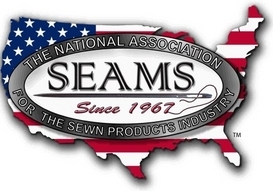 Incentive Payroll Experts is a member of the SEAMS Association, the National Association for the Sewn Products Industry. The mission of SEAMS is to promote the continued growth of the USA fashion, sewn products and textiles industries through educational programs, networking opportunities, business opportunity matchmaking, industry collaboration and special member benefits packages. Methods Workshop is the leading developer and provider of engineering and costing software solutions for the global fashion and sewn products industries. It's Quick TruCost™ (QTC) and Engineered TruCost™ (ETC) solutions enable fashion brands and manufacturers to identify and control costs throughout the product development and production processes. Productive Solutions provides management consulting, technology guidance, and marketing solutions for fashion and sewn products manufacturers, brands, retailers and suppliers. As a highly effective boutique firm, Productive Solutions leverages decades of real-world experience in the fashion, consumer goods and industrial products industries to deliver customer-focused and industry-proven solutions to help clients achieve their business goals. R.T. Barbee manufactures custom printed production control forms in tag and pressure sensitive stocks. In addition to our custom production, we keep a large inventory of popular format tickets for same day shipments. Having been in the apparel industry for 50+ years, we understand the importance of providing quality products in a timely and cost effective manner. Incentive Payroll Experts is proud to be associated with the following companies and organizations. Incentive Payroll Experts provides apparel and other sewn products manufacturers with the speed, accuracy and continuity they require for successful work-in-process tracking, data collection, incentive payroll calculation and processing. © Incentive Payroll Experts. All Rights Reserved.